The City of Dover obtains its water from the Pend Oreille River through a dedicated raw water intake and delivery system. Raw water from the river is treated using a slow sand filtration system that can produce a maximum of 200 gallons per minute. More information regarding the water treatment system can be found here or the City of Dover Facility Plan. Slow sand filters work through the formation of a millimeter thin biofilm that forms on the top of the sand called a “Schmutzdecke.” The Schmutzdecke is the layer that provides the effective purification in potable water treatment. As water passes through the Schmutzdecke, particles of foreign matter are trapped in the biofilm and dissolved organic material is adsorbed and metabolised by the bacteria in the biofilm. The water produced from a well-managed slow sand filter can be of exceptionally good quality, with 90-99% bacterial reduction. The City of Dover operates four sand filter beds. 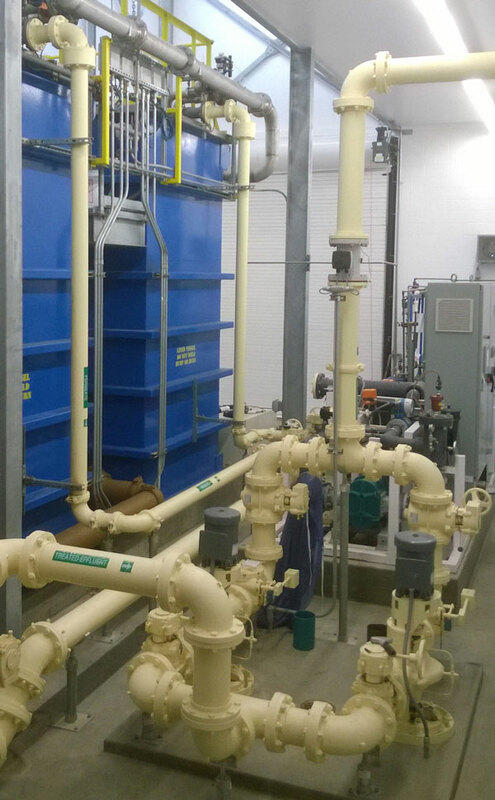 A dedicated treatment line then delivers the water to a baffled water treatment reservoir. Distribution lines then deliver the treated water from the reservoir to individual residences and businesses, as well as to fire hydrants throughout Dover. All sanitary sewers in the City of Dover are effluent sewer systems that first treat the sewage using a septic tank. The effluent sewer then collects wastewater that has undergone primary treatment in the septic tank. Examples of an effluent sewer systems used in Dover are “Septic Tank Effluent Pump” and “Septic Tank Effluent Gravity” sewers (commonly referred to as STEP or STEG) which use on-lot septic tanks to provide liquid/solid separation. The clarified effluent then moves into the collection system using either a pump (STEP) or gravity (STEG). The City of Dover operates a state-of-the-art membrane bioreactor (MBR) wastewater treatment system. The unique feature of MBR systems is that, instead of secondary clarification, membranes are used to scour and clean the water. 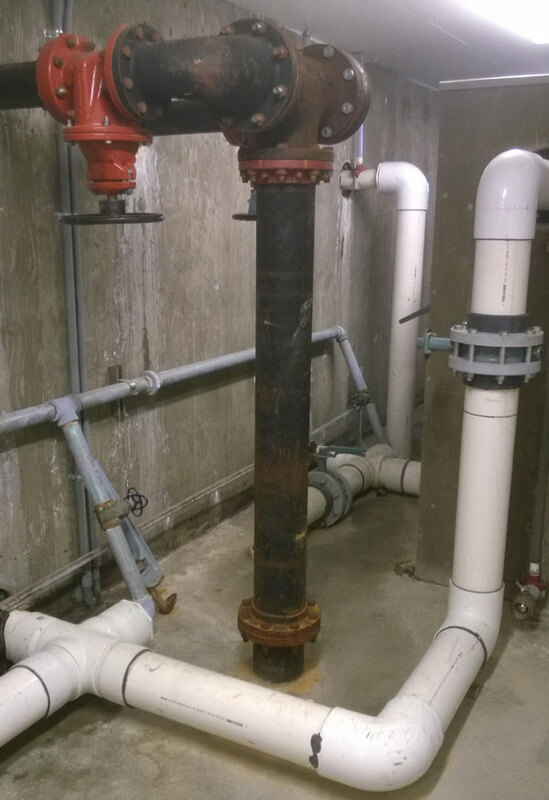 MBR systems are becoming more common to meet increasingly stringent effluent limits. Wastewater may contain high levels of the nutrients nitrogen and phosphorus. Excessive release of these nutrients to the Pend Oreille River can lead to a buildup of nutrients which can in turn encourage the overgrowth of weeds and algae. 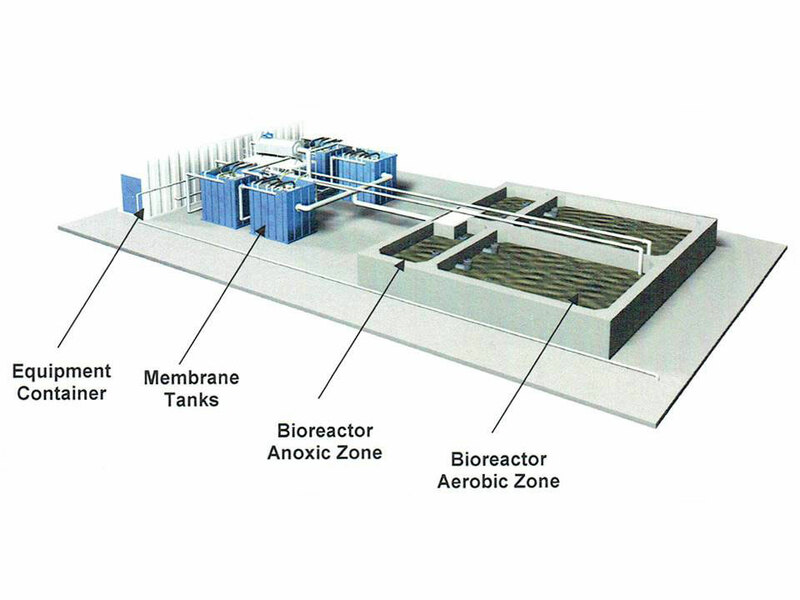 The MBR system removes nutrients from the effluent by converting the biological nitrogen in the effluent to nitrogen gas using a two-step process: an aerobic treatment followed by an anoxic treatment (as shown below). After filtering using the membranes, solids are then removed from the system and dewatered using large de-watering bags called “GeoBags.” After several months, the dewatered solids are removed from the GeoBags and used for approved land application. The number of ERUs (Equivalent Residence Units) for calculating the water capitalization fee as well as the monthly water rate are determied using the service line size and the type of meter (displacement, turbine or compound meter). The number or ERUs is determined by the maximum capacity of the service line/meter type combination as defined by American Water Works Association (AWWA).